Our basic vinyl stickers are not really that basic at all! They have a 3 year exterior longevity without a laminate, and up to 5 years with a gloss or matte laminate. These durable stickers are made from a 3.5 mil vinyl and printed on a high resolution, eco-solvent 9 colour process printer for vivid colours and fine detail. They are available in kiss-cut and die-cut shapes. 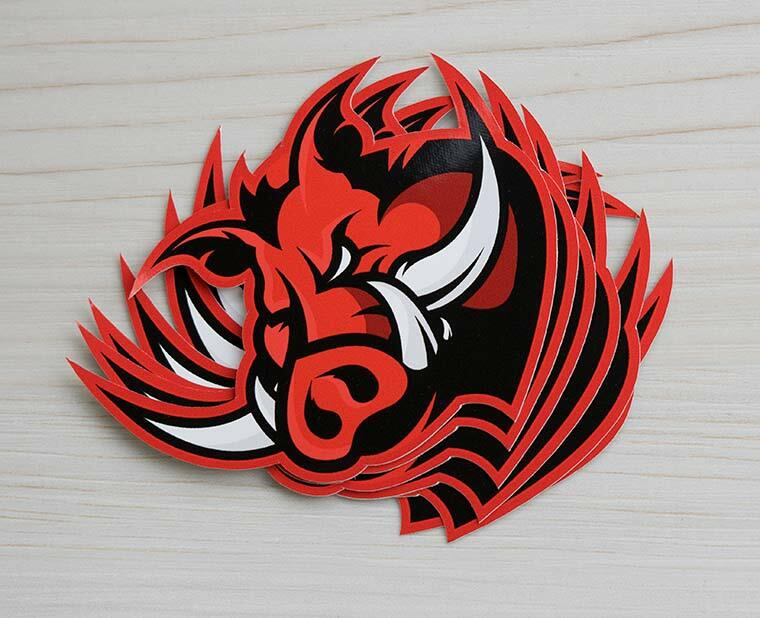 These workhorse pressure sensitive decals are used for everything from industrial equipment branding to promotional give-aways. Check out our low prices using the calculator below! Our production process is very flexible, enabling CanadaStickerKing.com to provide a wide range of sizes and options. 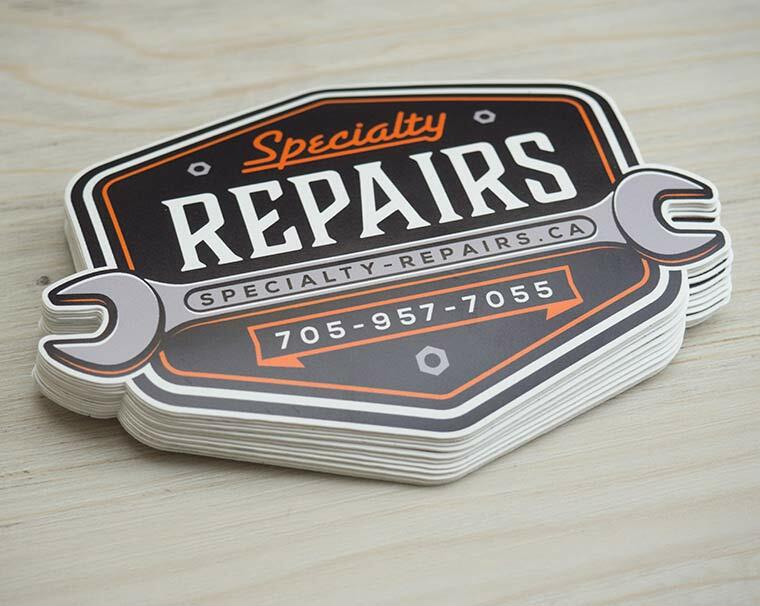 We are Canada's trusted source for Canadian made stickers, since 1977. 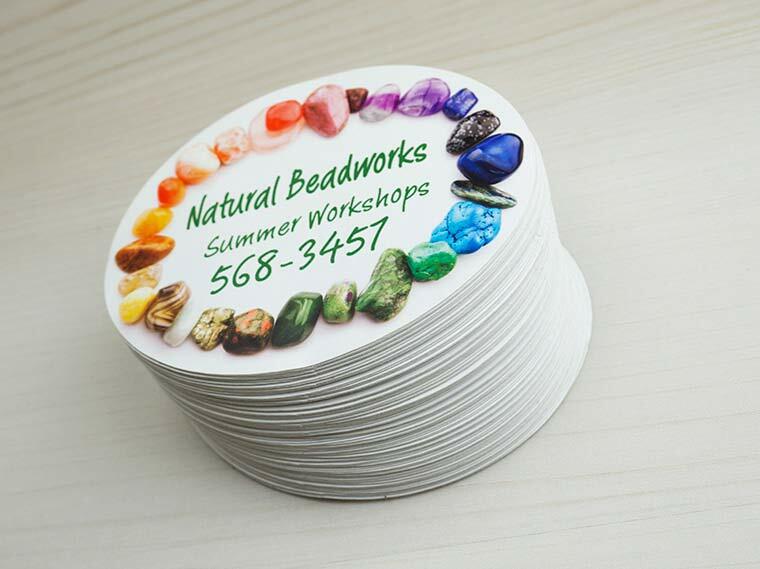 Our basic vinyl stickers are great for many different kinds of applications. From advertising handouts, to safety & warning decals for equipment manufacturers. Logo & brand recognition. 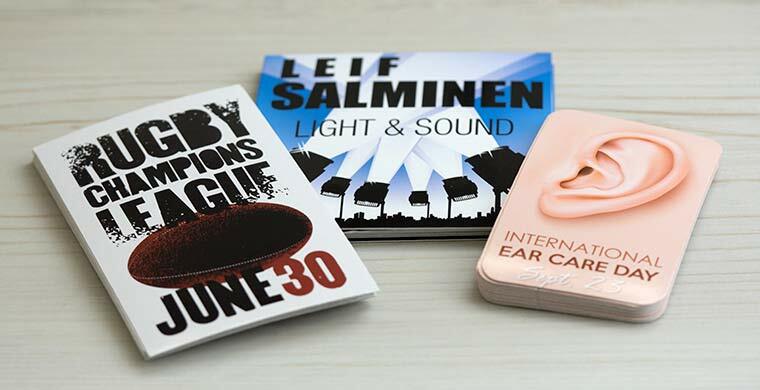 Bumper stickers, trendy giveaways for event promotion - especially unique shape cuts. Always ready the fine print! While researching your potential suppliers take note of the details about UV resistance and expected print lifespan. 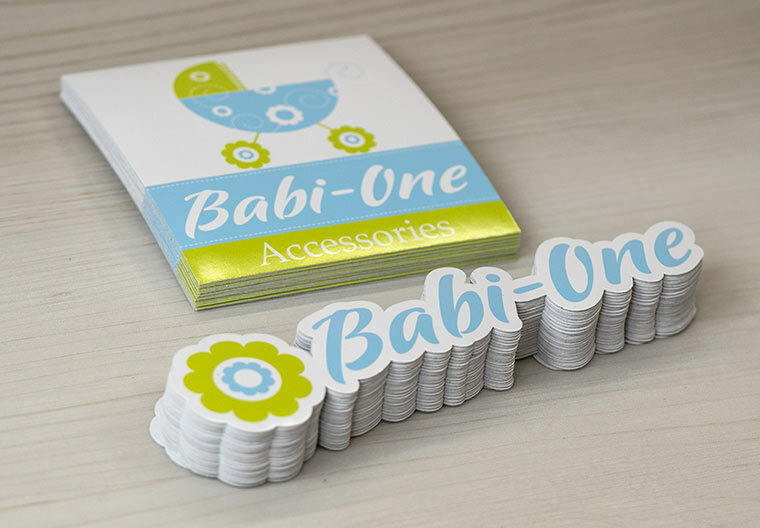 You may find that some of our competitors offer vinyl/PVC stickers, but the print method greatly limits the durability of the stickers, especially for outdoor use. All our products are UV resistant up to 3 years - not just for up to several months. 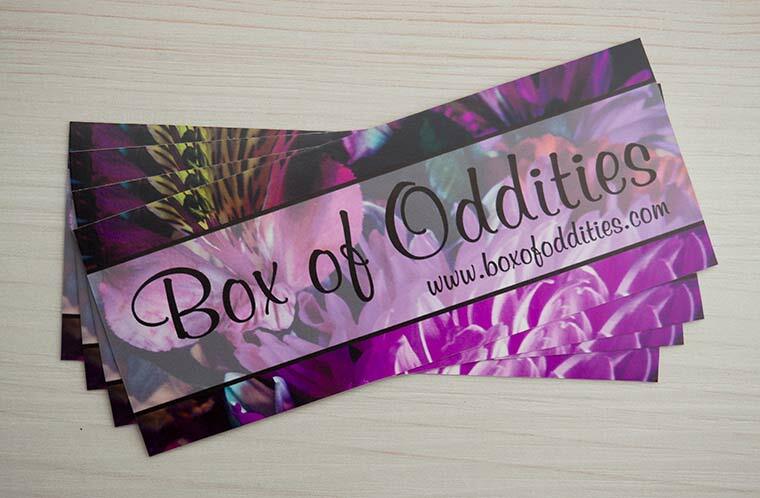 Your choice of SATIN or GLOSS finish on all stickers. 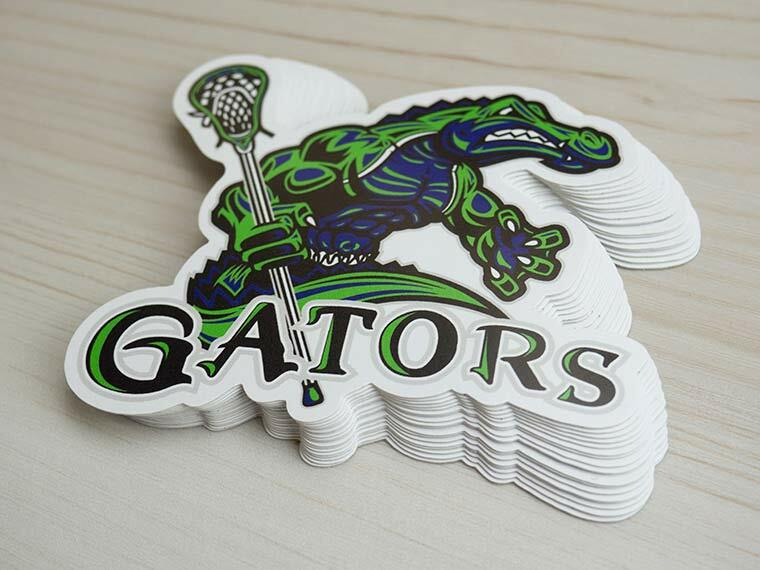 Add a gloss or matte laminate to extend the exterior UV resistance and abrasion resistance of your stickers. Shape cut "Die Cut" available - through cut, or kiss cut. Slit-back "crack & peel" liner. Multiple artwork customizations, including sequential numbering & UPC/QR codes. Eco-solvent Printer, 9 colour process for vibrant colour. Price Calculator & Chart are for comparison purposes. Please fill out the QUOTE form below to confirm pricing and to begin the order process.